The creators of Seahub, Matt Hyde and Sam Wheaton have spent a lot of time together. 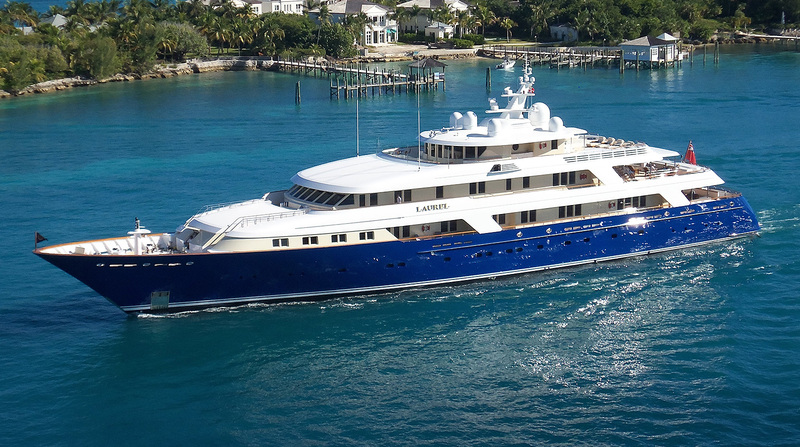 They were next door neighbours at college, travel buddies during a ski season in the Colorado mountains and both long time yacht engineers who worked on board yachts ranging from 116ft to 264ft for over a decade combined. So it was often a well-worn path that on Friday night in Ft Lauderdale the two would meet at their favourite meeting spot to discuss how their working week had unfolded. Both loved their jobs, love the people and often where the first to jump in that bilge with something that was broken. Over time, the pair had inherited maintenance programs onboard that had contained the maintenance schedules or maintenance histories of the vessel prior to their arrival. ‘It was a great time to get exposure to what was out there and see how users engaged the software that was available’ says Hyde. It was soon clear to them both that while there were some well-established providers in the market, there was plenty of room for improvement. The pair begun to collaborate and put together what they believed was the most complete program for an engineer regardless of their technical ability and regardless of the size of the vessel. ‘We realised very early on that if the program was overly complicated, it would soon be collecting dust in the too hard basket’ says Wheaton. Beyond relying on personal experience, development was largely guided by other contacts who had been in the industry a long time and had real life experience managing maintenance programs. 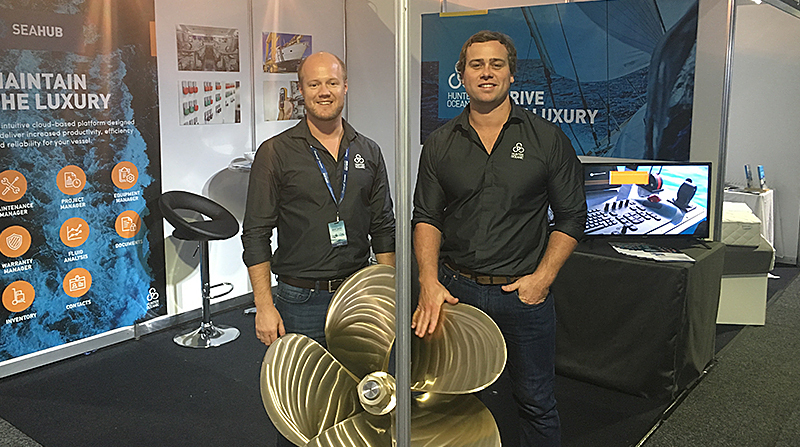 After launching the business in 2016 the pair have enjoyed the chance to work with dozens of yachts and get to know many more in the industry. 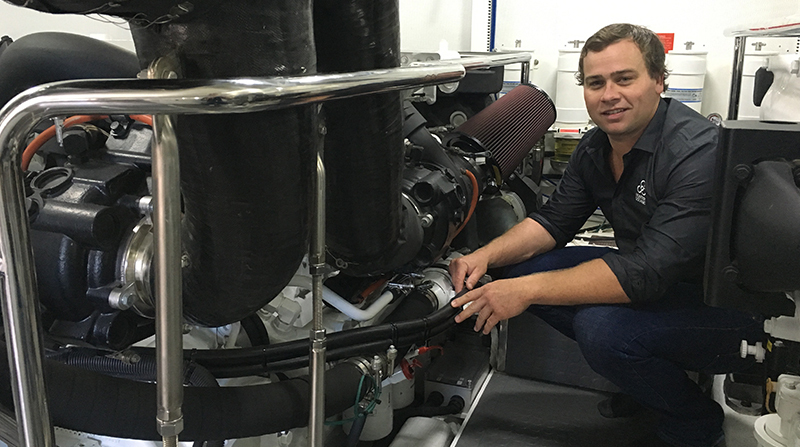 ‘We just enjoy being around the industry and while we tend to spend more time land based, we jump at every chance to get alongside yacht engineers and captains and understand how they do things and the challenges they face. We get a kick out of building a rapport with people and ultimately giving them something that is going to make their lives easier’ says Hyde. Since the release of the Projects module, which is focused on giving crew a platform to plan and track major projects including yard periods, refits or haul outs, the pair have been busy working with engineers and project managers who are chasing a way to improve the organisation and transparency they have during busy times. In February Sam relocated to Ft Lauderdale to head operations for America and the Caribbean while Matt is currently managing the development team from their Australia office in Newcastle, NSW.